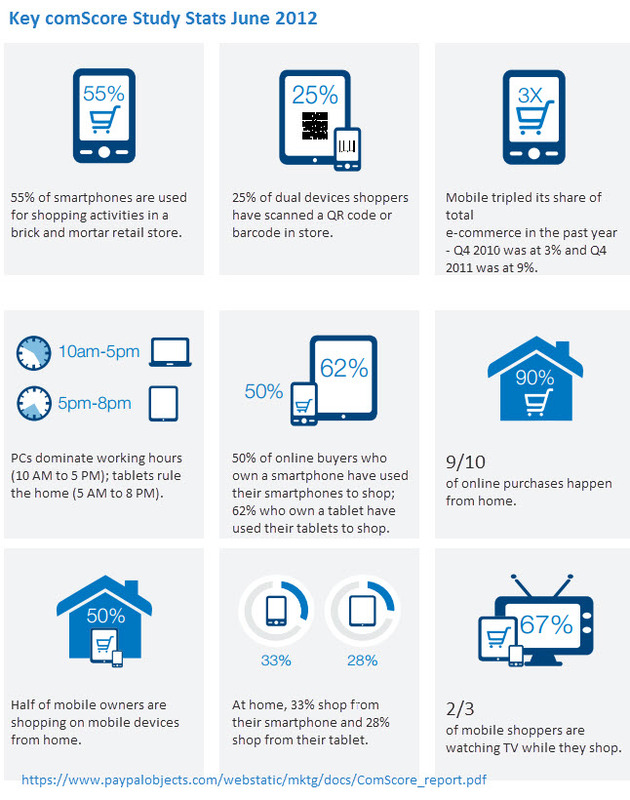 78% of smartphone owners use their phones while they shop. Recent research show that 78% of smartphone owners use their phones while they shop. This is the reality that all businesses are going to have to get used to and fast. The ease and convenience﻿﻿ of using mobile phone means that the percentage of mobile browsers will only grow as smartphones market penetration increases. The challenge for small businesses is how to get their website to effectively cope with this growth. There are some very effective solutions on the market that does not cost fortune. Get your business register correctly into Google Places. This is essential and separate from any website you may own. Google Places automatically adjusts for mobile users. Get a website – ﻿﻿if you don’t have one. Use a website building tool that automatically adjusts for a mobile user. The most immediate one that springs to mind is WordPress. Use online tools like Mobify.me that will allow you to automatically adapt your existing website for a mobile market.